DELAVAN – Paul L. Jansen, age 74, of Delavan passed away on Friday, February 1, 2019 at Aurora Medical Center in Burlington. He was born on October 11, 1944. Paul was united in marriage to Judith Hall on June 5, 1965. She passed away on August 2, 2011. Paul is survived by his three children, Brian (Becky) Jansen, of New Berlin, Theresa (Michael) Rhyner of Delavan and Carrie Colvin-Mitchell, of MI; grandchildren: Zachary and Jacob Rhyner, Lucas and Joshua Jansen, and Nathan, Evan, and Seth Colvin; two sisters, Mary Rice, and Janet Heckert; a brother, Donald Jansen; his loving dog, Zippy; and dear friends, John and Marge Jongetjes. Paul is preceded in death by his wife, Judith; his parents; a brother, Henry; and a sister, Darlene. 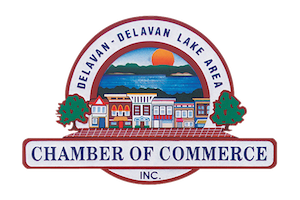 Services will be held at the Delavan Arboretum later this spring. Memorials can be directed to Lakeland Animal Shelter.